The following is an excellent list of questions for potential pastors. I remember when, as a young Independent Baptist, sitting through a Q&A session on a Sunday night where the “hot topics” were the man’s position on rap music or whether he thought special music should be sung with or without an accompaniment tape! I trust these will be a help to you. And if you’re considering the pastoral ministry, they are excellent questions to prayerfully ask yourself. There are many who profess to know Christ who are mistaken. What evidences do you have that you have been given life by God? What does it mean for a person to love God? In what ways do you see true biblical love toward God demonstrated in your life? Do you see true biblical love toward God in the lives of your wife and each of your children? How does your wife feel about your commitment to pastoring? Why do you believe God wants you in the pastorate? A pastor is charged by God to preach to the church and to shepherd the people in a more individual way. Which aspect of the ministry appeals to you the most? What are some specific ways you could be helped to develop your skills in either of these areas? What are your methods for involving yourself in the lives of your people as their shepherd and overseer of their souls? What activities characterize your evangelistic interest? What is your approach to personal evangelism? corporate evangelism? What is your approach to counseling? How do you handle your counseling load? How would you describe a successful pastor? How would you describe a successful church? How is the pastor held accountable? What relationships in your life currently provide accountability for responsible attitudes and behavior, both personally and as pastor? Describe an instance when you made attempts to reform the church in some significant area. What were the results? What did it cost you personally? Describe your leadership style. What have been some weaknesses? Strengths? When you have met with opposition, has it been mostly related to your style of leadership, your personality, your beliefs, or something else? According to your observations, what doctrines need special emphasis in our day? 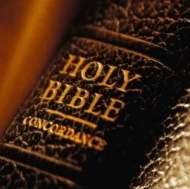 What is true biblical faith? Explain justification by faith. What is the difference between the Catholic view of justification and the biblical view? Please explain your view of sanctification. What are the various means God uses to sanctify the believer? Can a person have Christ as his Savior without submitting to Him as Lord? Explain. What is your position on the inerrancy of Scripture? Explain the biblical term “baptism of the Spirit.” When does this baptism occur? What are your views on baptism by water? How does the Bible relate the sovereignty of God to salvation? What does the Bible teach about the extent of man’s depravity? What does Christ’s atonement accomplish? What does the Bible teach about the perseverance and preservation of believers? What is the proper use of the Old Testament law? How do you articulate your present view of end-time or eschatological issues? Do you believe that Jesus Christ was born of a virgin? What is the significance of your belief? What is your interpretation of the biblical teaching on Hell? Do you believe that the events described in Genesis 1-11 are factual or symbolic? What does the Bible teach concerning spiritual gifts? Please delineate your views about prophecy and speaking in tongues. What is your view of divorce and remarriage? How strictly will you follow this view in practice? What is your view of the phrase, “The bishop [pastor] then must be…the husband of one wife” (1 Tim. 3:2)? What are your requirements for performing a marriage ceremony? Please explain your views on church discipline. Relate any personal experience. How would you handle a case of scandal or immorality by a church member? Many children who appear to be converted at an early age show no evidence of knowing Christ later. How do you handle children when they come to you for counsel concerning conversion? What is your advice to parents? What is a useful plan for receiving new members into the church? What are prerequisites? What are your views on styles of church music? Who should direct the worship of the church? Why? Which methods of leading corporate worship are appropriate? Which are inappropriate? What are your views regarding raising money for various projects within the church? Should the church solicit those outside the church? What are your convictions about the local church and debt? What does the Bible teach about women in pastoral ministry? What does the Bible teach about how churches should make decisions? How should a pastor and his church relate to other churches locally and (if denominational) to the larger body? Do you feel comfortable cooperating with other denominations? Do you draw any lines? What are the biblical responsibilities of elders? Are there any distinctions between elders, pastors, and overseers? If applicable, what distinctions exist between staff and non-staff pastors? What are the biblical responsibilities of deacons? How are deacons and elders to relate? What emphasis do you give to the leadership of fathers with their families, especially in terms of family worship? Do you personally engage in family worship with your wife and children?